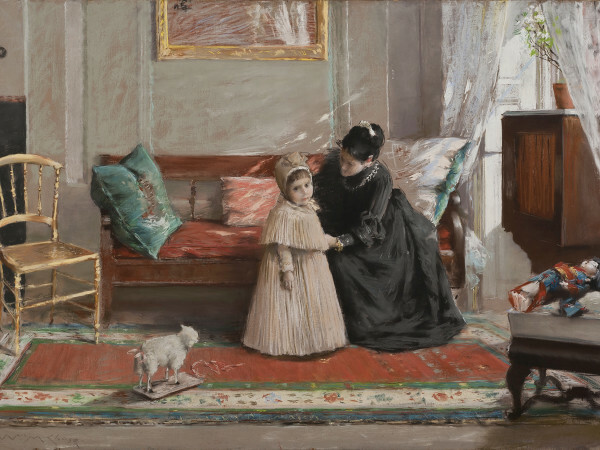 September's most intriguing gallery exhibitions range from photographs with historical provenance to childlike works collected by cultural heavy hitters. Add in a dreamy meditation of the concept of home, and you’ve got an artful to-do list. 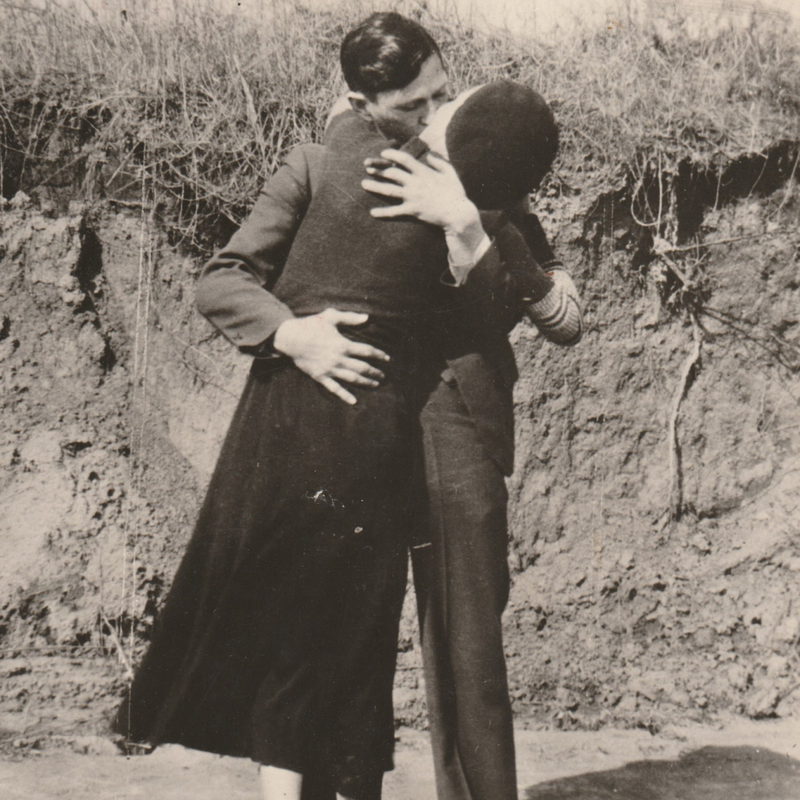 More than 80 years on, the fascination with Bonnie Parker and Clyde Barrow is stronger than ever. The outlaw duo pop up in pop culture every decade or so, representing the archetype of the bad girl and badder boy in film, song, and fashion. 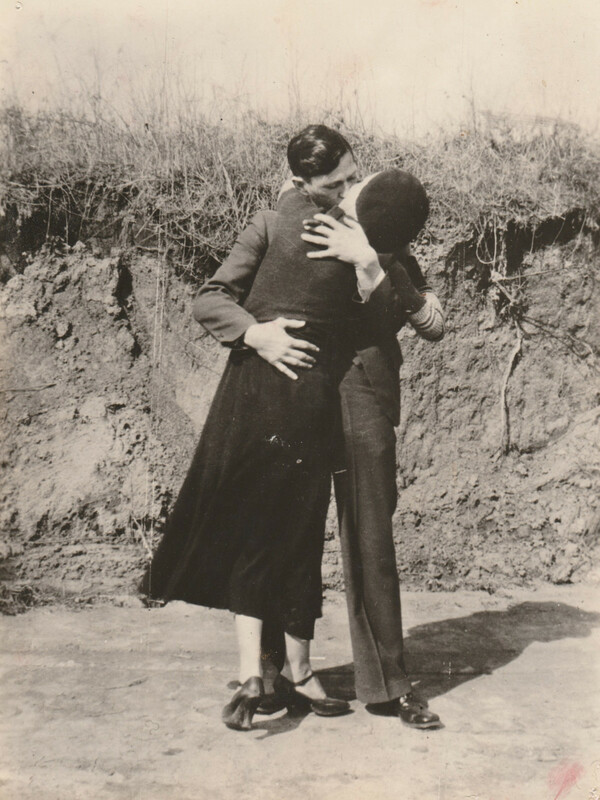 Count Photographs Do Not Bend director Burt Finger among the intrigued — nine images from his personal collection highlight the aftermath of the two-year manhunt for the duo, with an additional image of the notorious couple in a passionate embrace. “Given that Burt is an appraiser on Antiques Roadshow, we have more people offering works from a wide range of subject matter, and this group of historic photographs might have crossed our path because of the show,” says the gallery’s Missy Finger of the pictures’ provenance. “The reason we were so intrigued with this set of photographs was … to this day, Bonnie and Clyde are a legendary couple in our folklore. 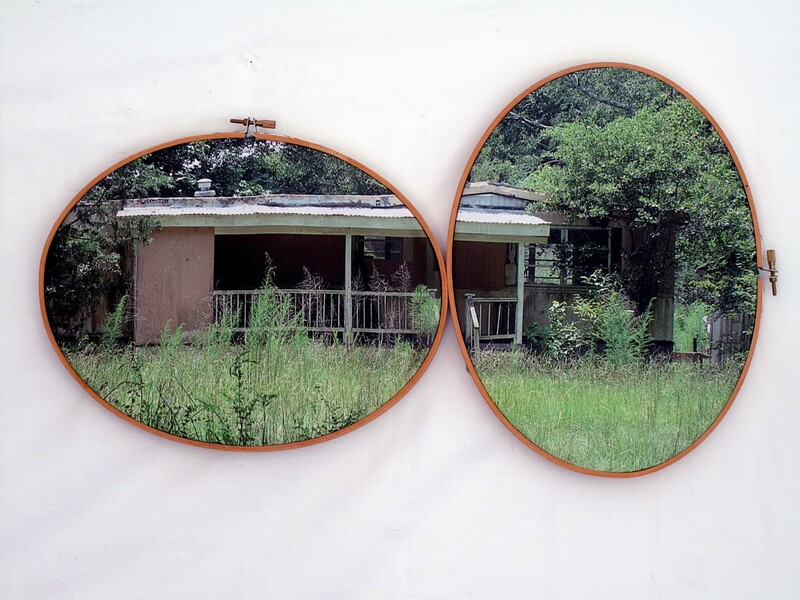 The legacy of the agrarian South is a hot button topic, making Letitia Huckaby’s “40 Acres…Gumbo Ya-Ya,” a lovely collective of Southern landscapes and homesteads framed in vintage embroidery hoops, especially timely. Named after a combination of General Sherman’s promise of land to enslaved African-American farmers and a colloquial term that means “everybody talk at once,” the images of broken-down shacks, cluttered yards and stagnant ponds belie the dreams of a once Utopian environment. Friends and cubicle mates since fall 2014, artists Cassandra Emswiler Burd and Lucia Simek found themselves always talking about their practices and work as wordsmiths at the Nasher Sculpture Center (Lucia serves manager of communications and international programs, and Cassandra as social media and public relations director). Because Cassandra is leaving later this fall to have a baby, the duo decided to partner for a thoughtful show at BEEFHAUS. “Cleaver” (so-called because of the root word’s meaning of proximity or departure) balances the hard and the soft, with Cassandra’s lighter-than-air silkscreens and needlepoint canvases that form a portrait of her family juxtaposed with Lucia’s burnished text work behind glass and marble beehive reminiscent of a mausoleum or Soviet ministry perched on the legs of architect Eileen Gray’s Transat chair. 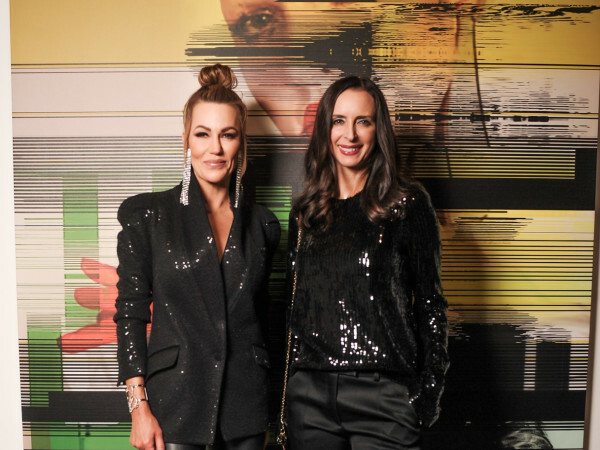 Although both artists agree the show isn’t specifically a collaboration, their mutual passion for language, art, and commitment to beauty makes the work all of a piece. For her first Dallas solo show, longtime photojournalist Nan Coulter has culled some of her most intriguing images from the past three decades for “September 14, 2017” at the Goss-Michael Foundation. 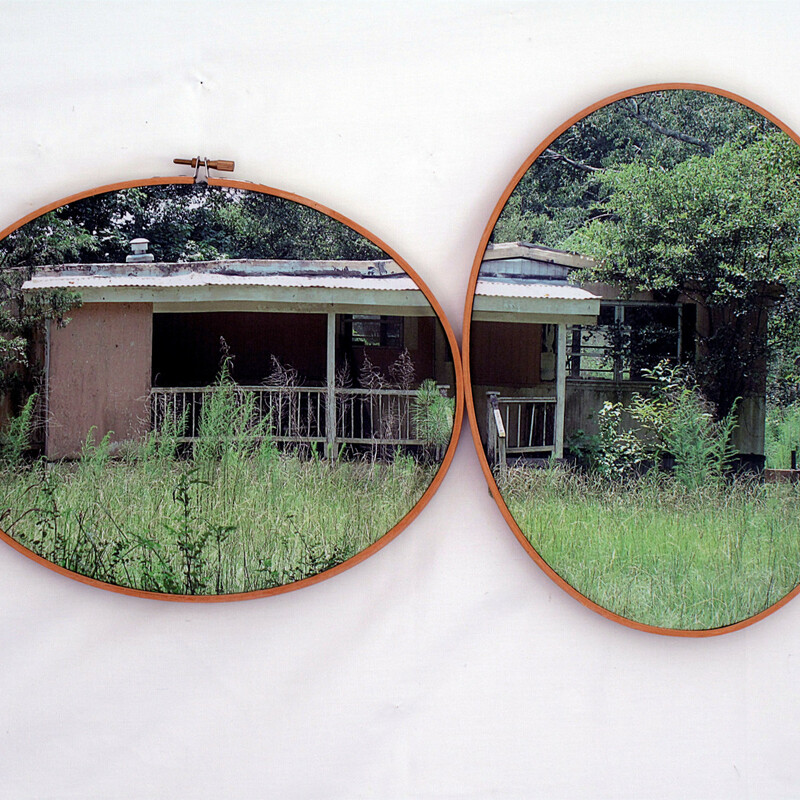 Coulter’s work isn’t exactly a retrospective, but more of a look at how we view photography. As illustrated by an image Coulter captured of a reproduction of a painting in Venice (the original long since ripped out and sent on to the Louvre), the “copy of a copy of a copy” is a very meta example of how nothing is completely as it seems, only as it may appear to a viewer on September 14, 2017. Stuck in the middle of North Texas, we couldn’t be more landlocked if we tried. Which is why the immersive exhibition “Adrift,” opening this week at Fort Works Art, is a welcome bubble of tranquility in an arid prairie. 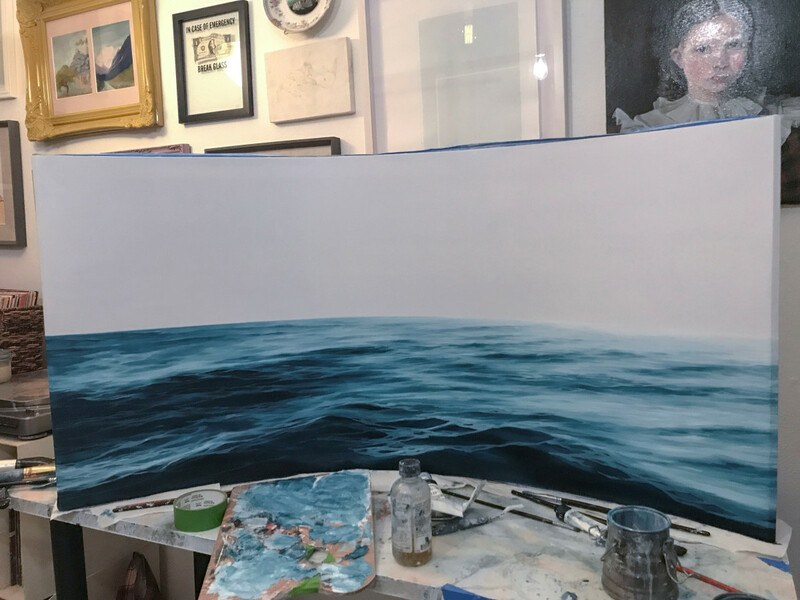 The local first solo exhibition of North Texas artist Hillary Dohoney, the show mixes lifelike seascapes with an immersive 12-foot installation that offers a panoramic view of the calming waters. 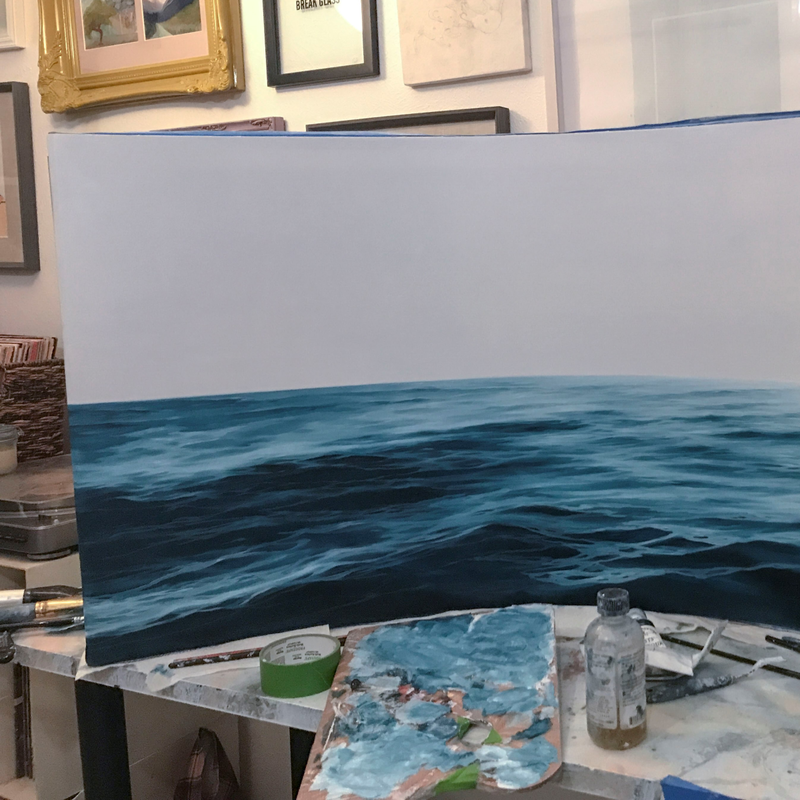 Inspired by the real-life tales of political refugees, Dohoney has layered their most cherished possessions into her calming canvases, giving the work a depth deeper than the seemingly deep blue sea. To elevate “Adrift,” musician Sam Lao will perform on the roof of the gallery on opening night. Cartoony and occasionally cathartic, the narrative works of Texas artist Esther Pearl Watson have drawn the admiration of collectors Matt Groening (The Simpsons), David Byrne and Cindy Sherman. 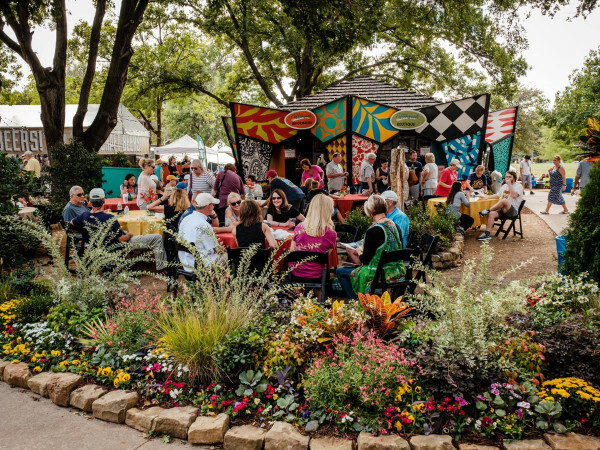 A longtime friend and associate of Webb Gallery owners Julie and Bruce Lee Webb, Watson is returning to the Waxahachie space on September 17 with one of her largest shows yet. Just a year after Fort Worth’s Amon Carter Museum gave her the opportunity to create a huge piece for their atrium (on display in this show), “Backhold Backfire” is the perfect chance to immerse yourself in Watson’s wacky world of Quik-E-Marts, rodeos and flying saucers. Although her subject matter may skew to the twee, Watson’s pure aesthetic (she also works as a noted cartoonist) give even her most whimsical paintings a deeper meaning.